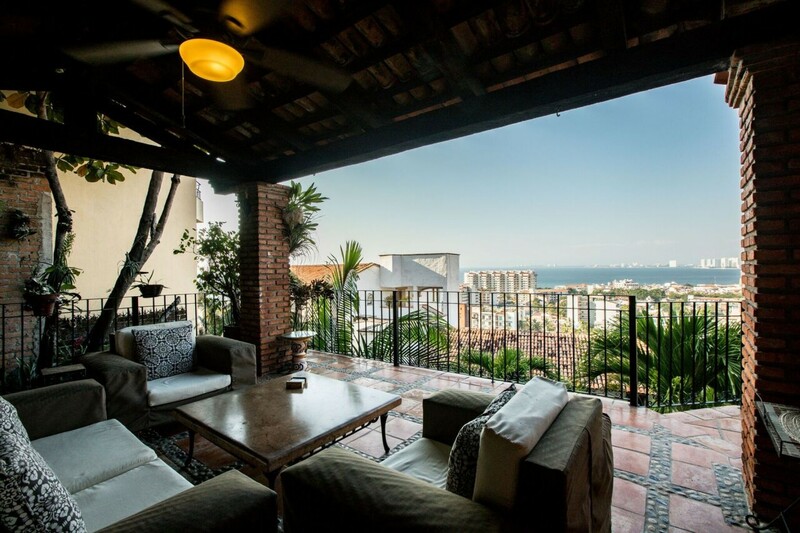 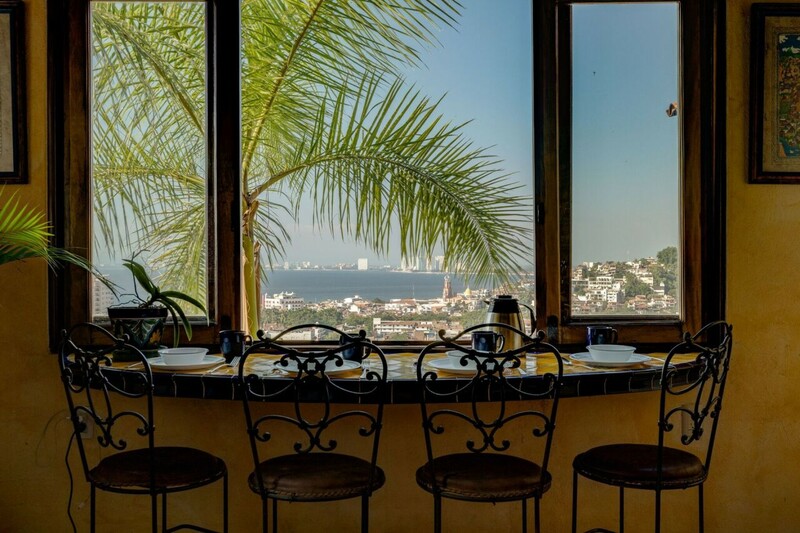 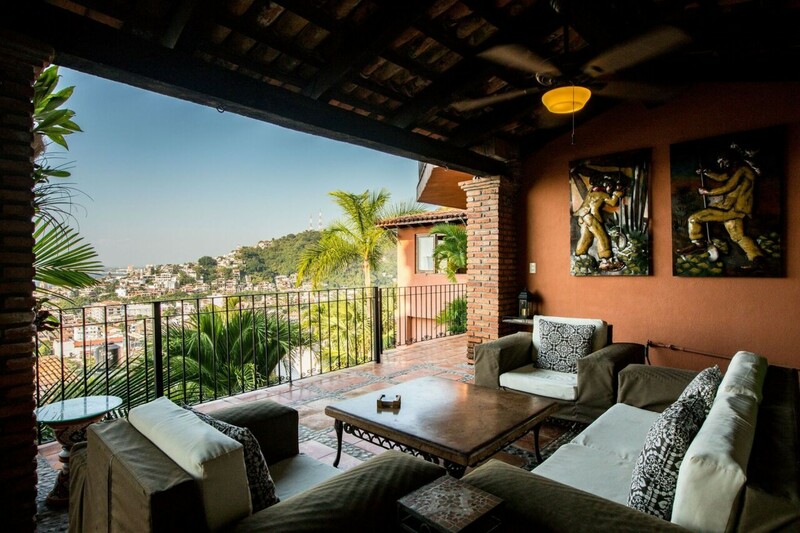 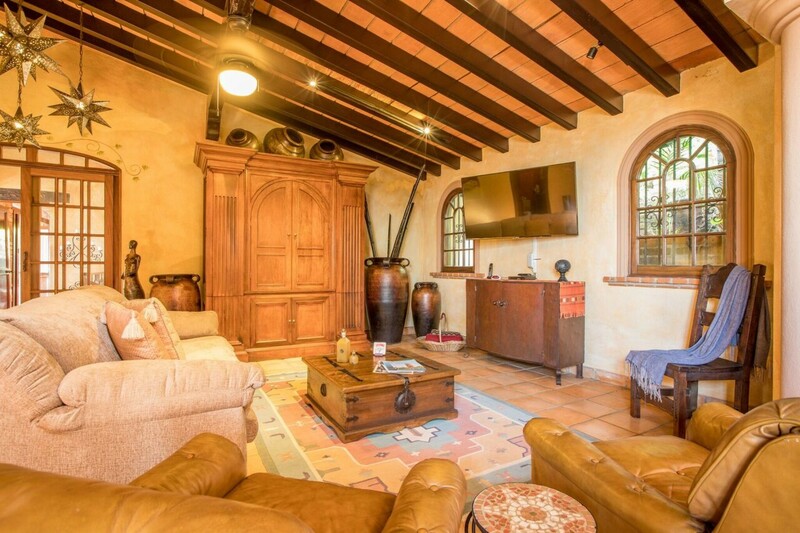 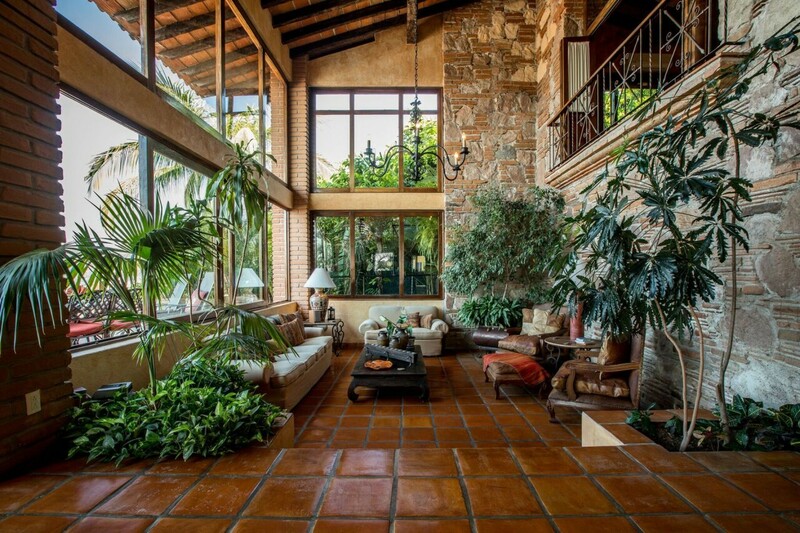 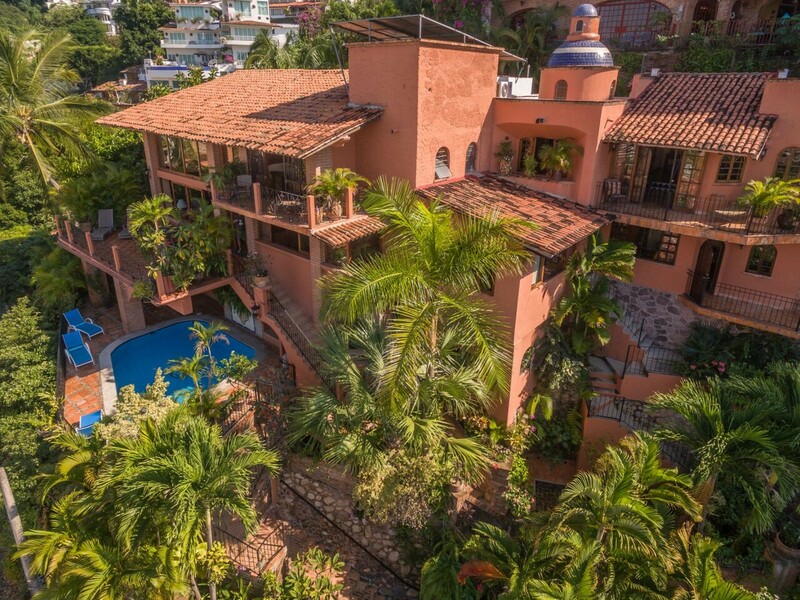 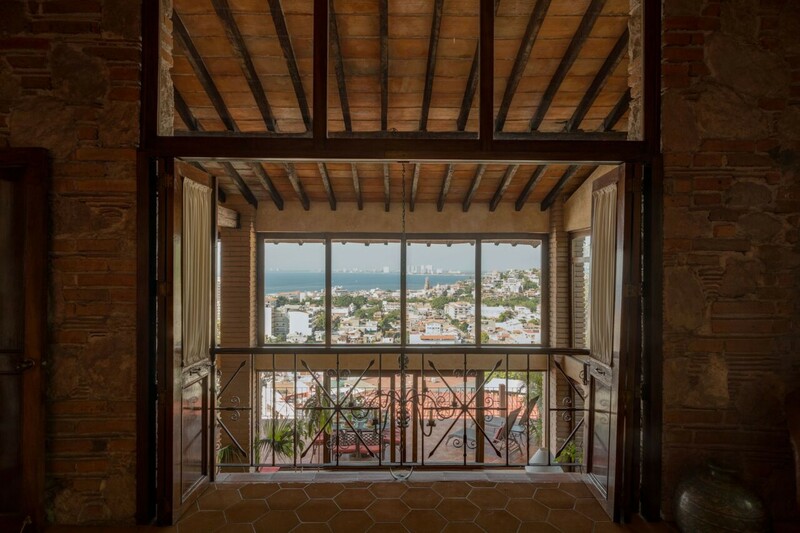 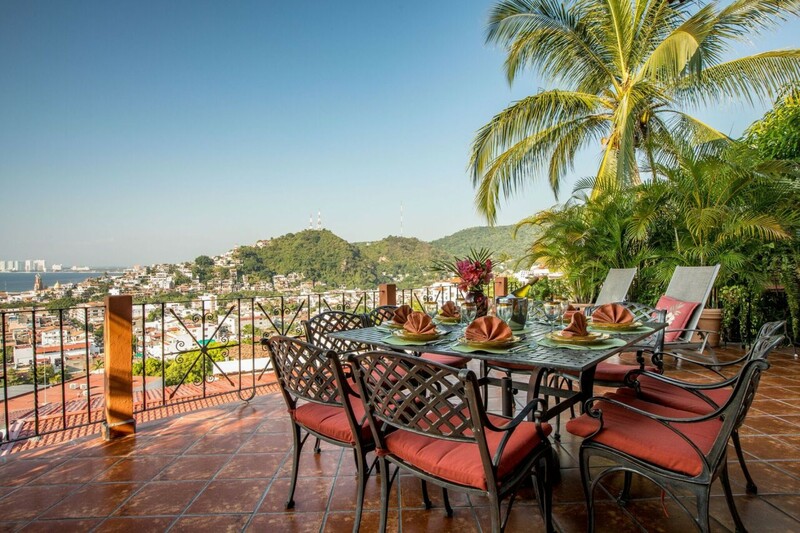 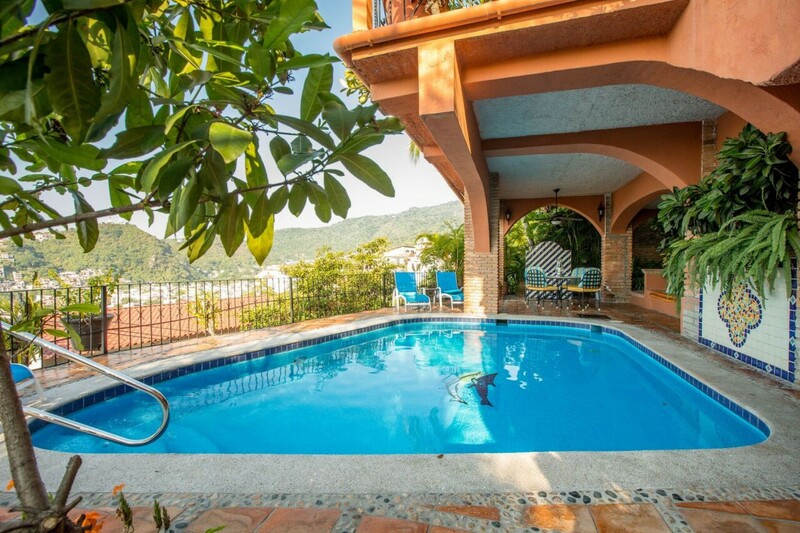 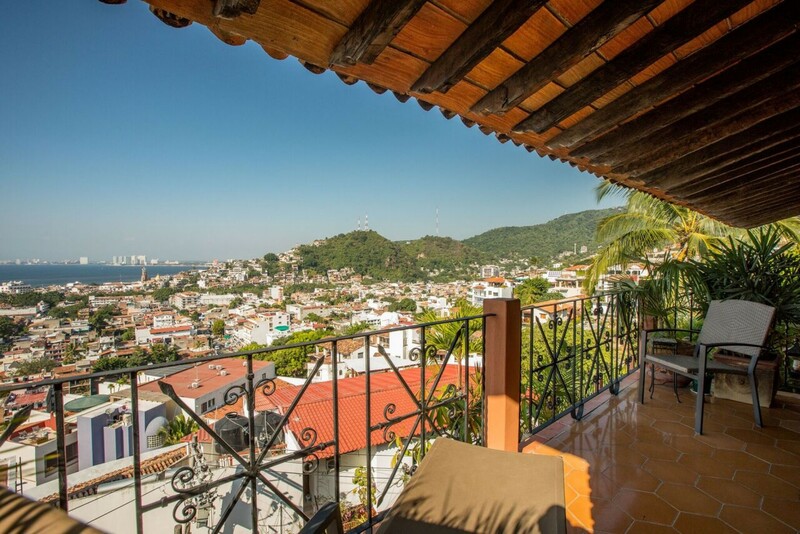 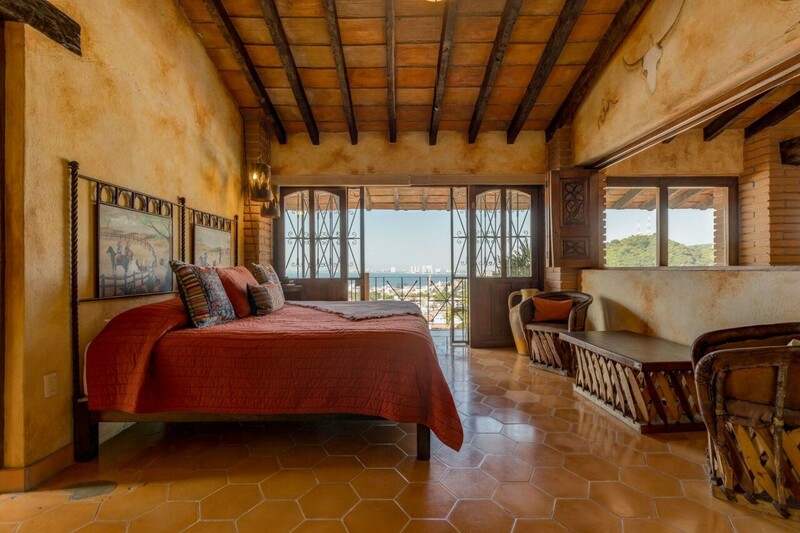 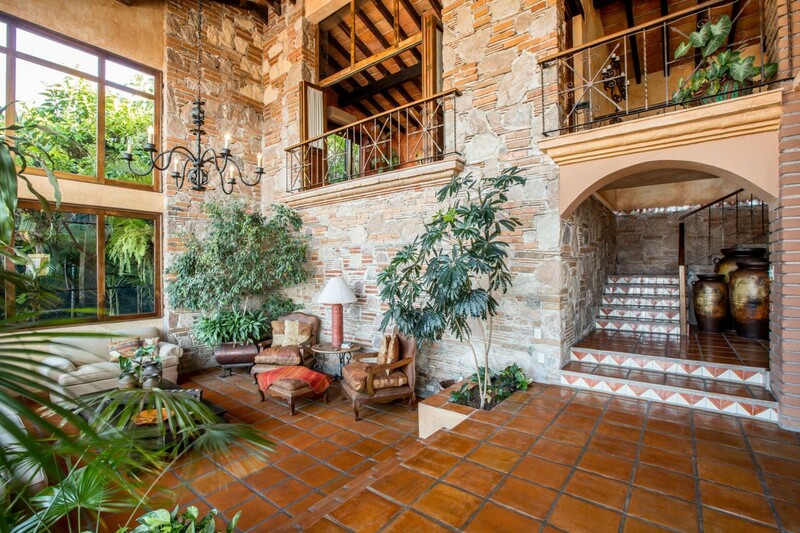 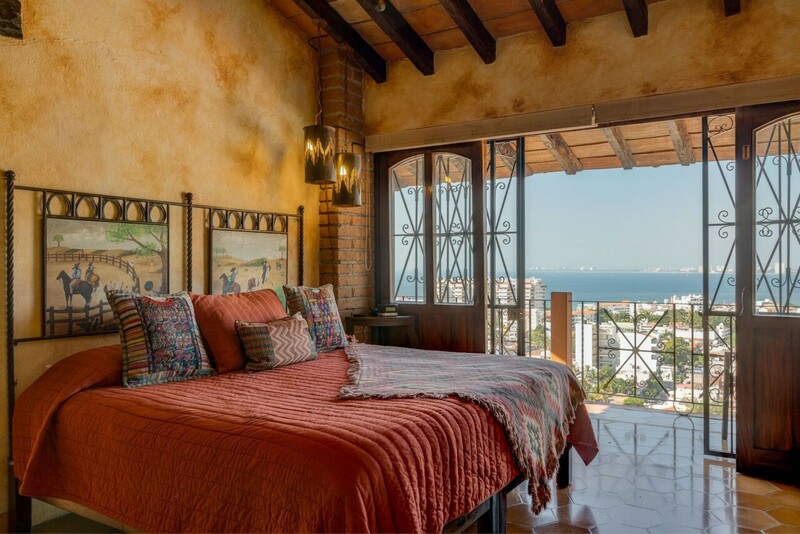 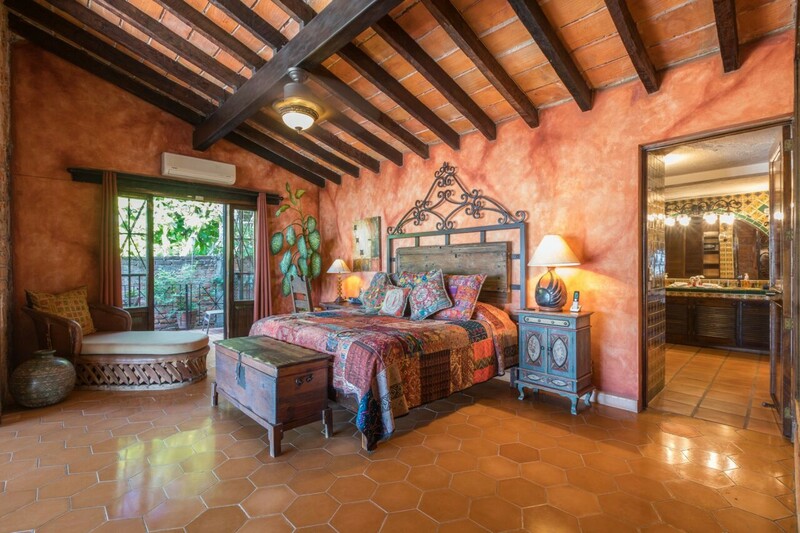 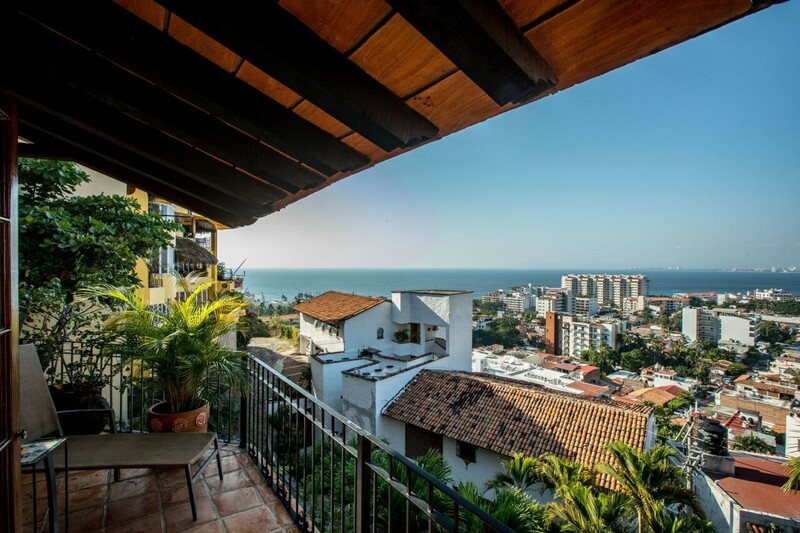 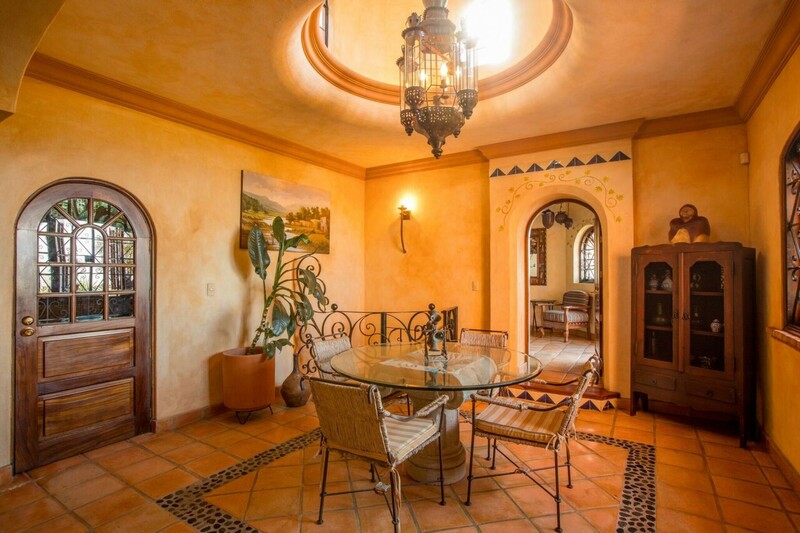 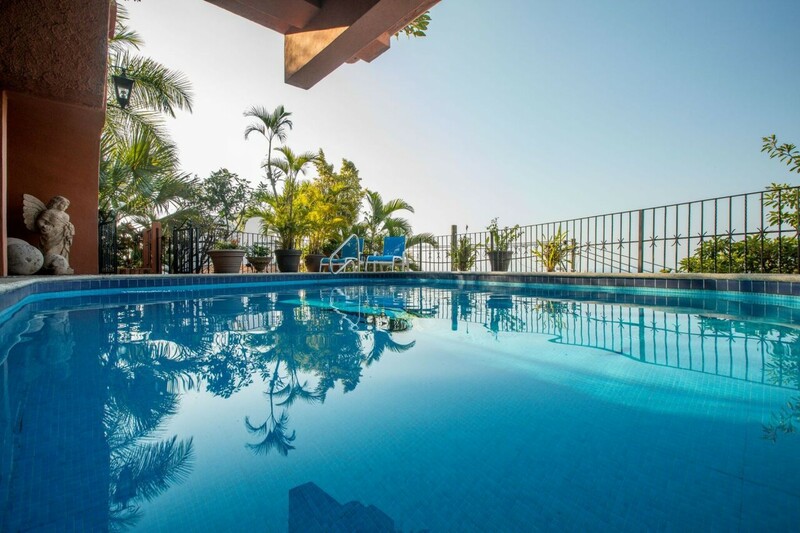 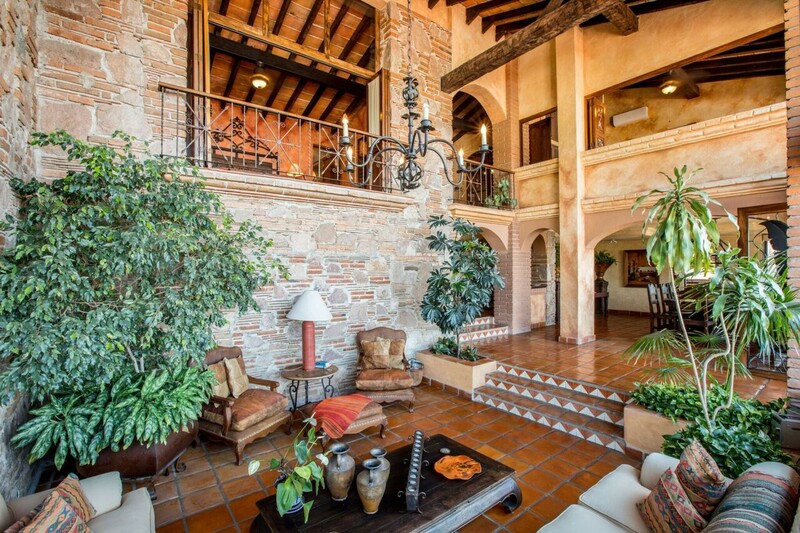 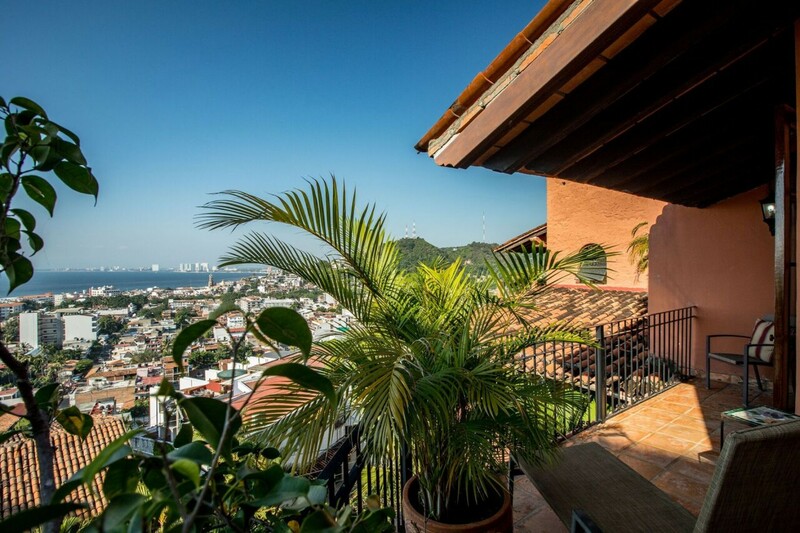 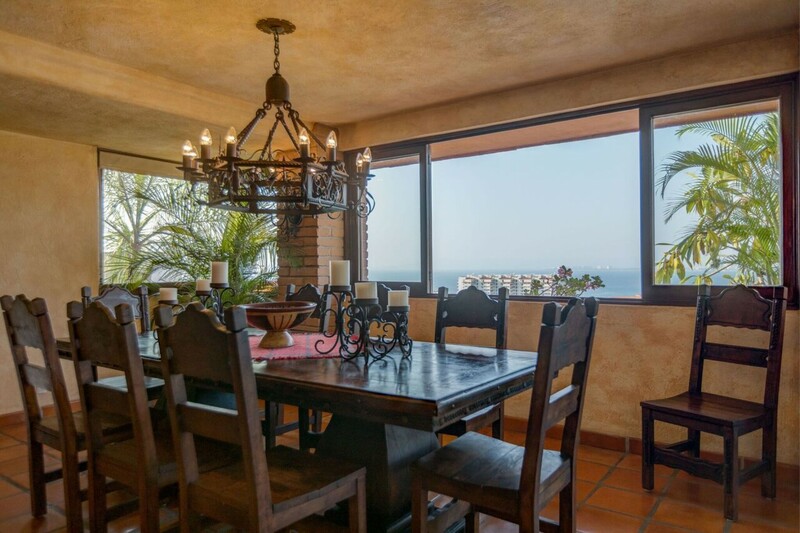 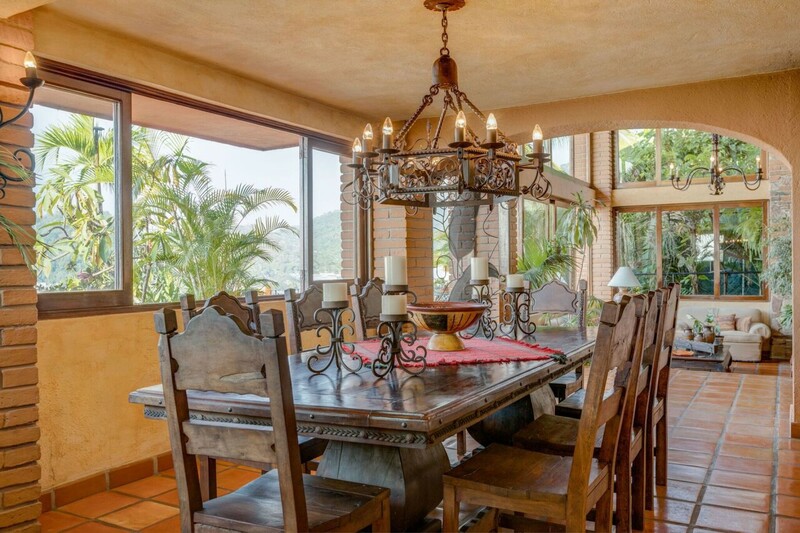 Welcome to Casa Paraiso, a charming 5-bedroom classic property situated on a hillside location above the town of Puerto Vallarta with splendid views of Old Town and the Bay of Banderas. 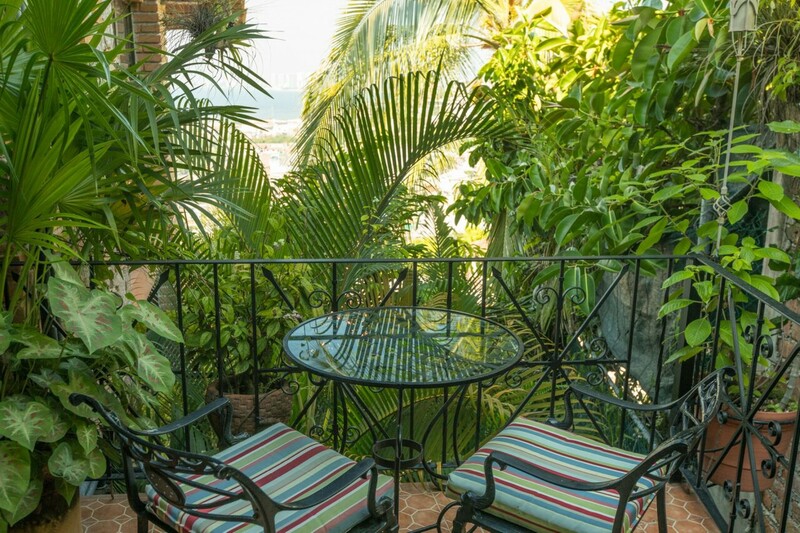 The beautiful lush tropical gardens and courtyards surrounding the property give a feeling of complete privacy and serenity, yet the Los Muertos beach and the exciting town centre of Puerto Vallarta are just a few minutes walk away. 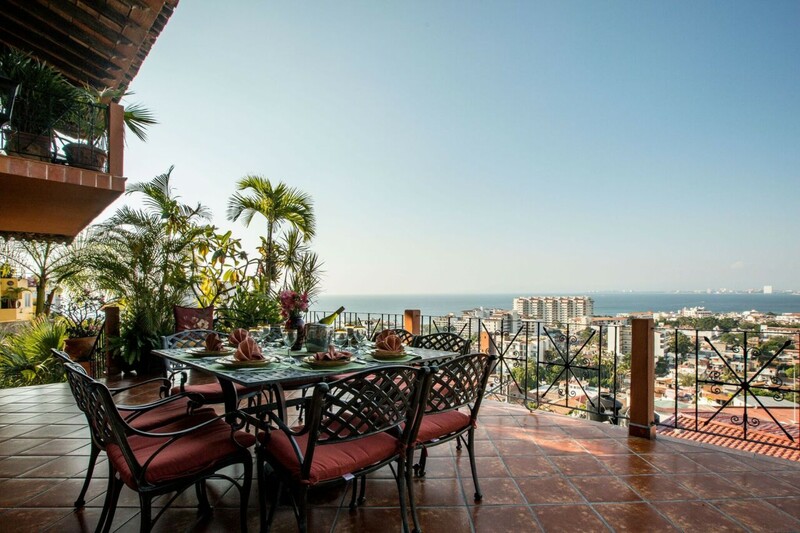 Puerto Vallarta’s “Zona Romantica” is notorious for excellent restaurants, art galleries, shopping and nightlife. 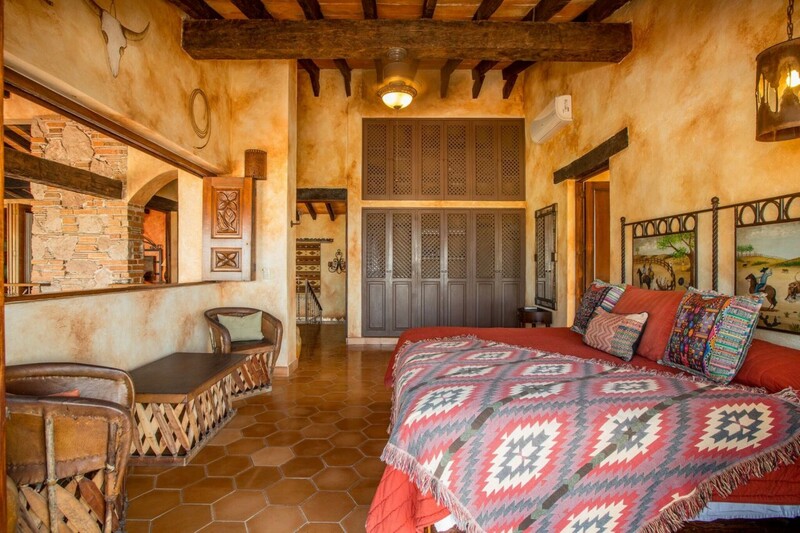 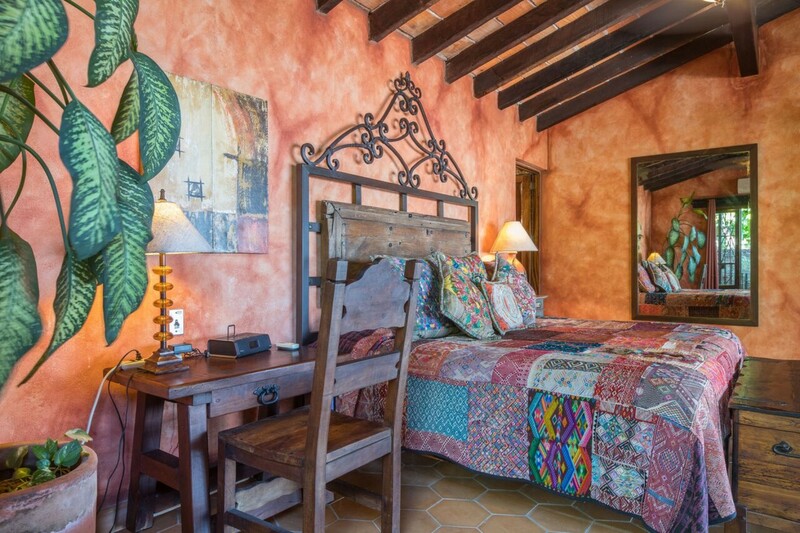 Casa Paraiso has been lovingly restored to embrace a typical hacienda style, with hand crafted furniture and textiles throughout. 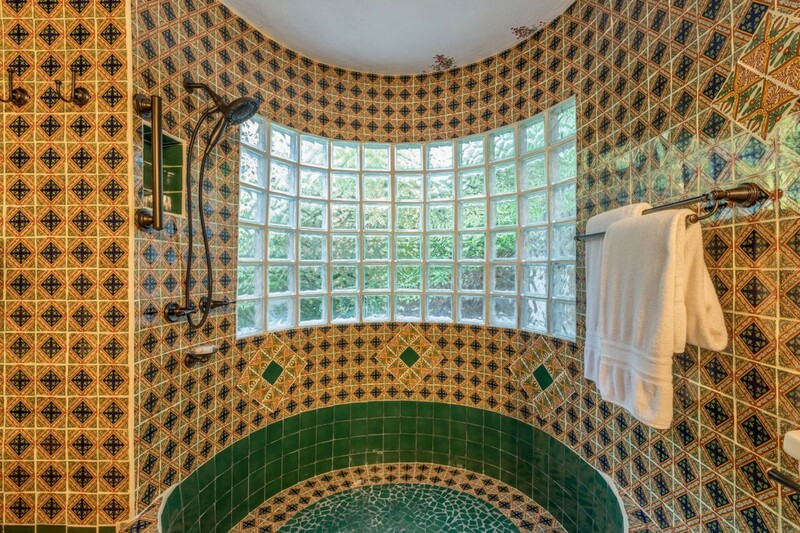 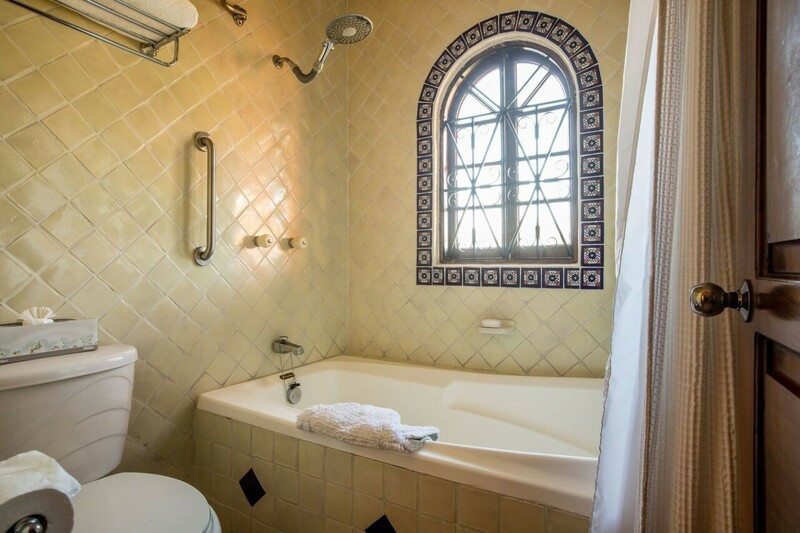 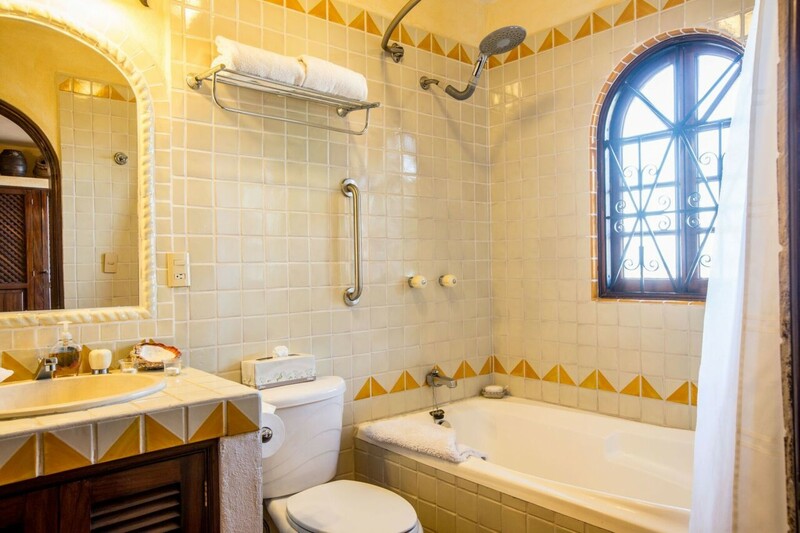 Even the tiles are handmade by local craftsmen. 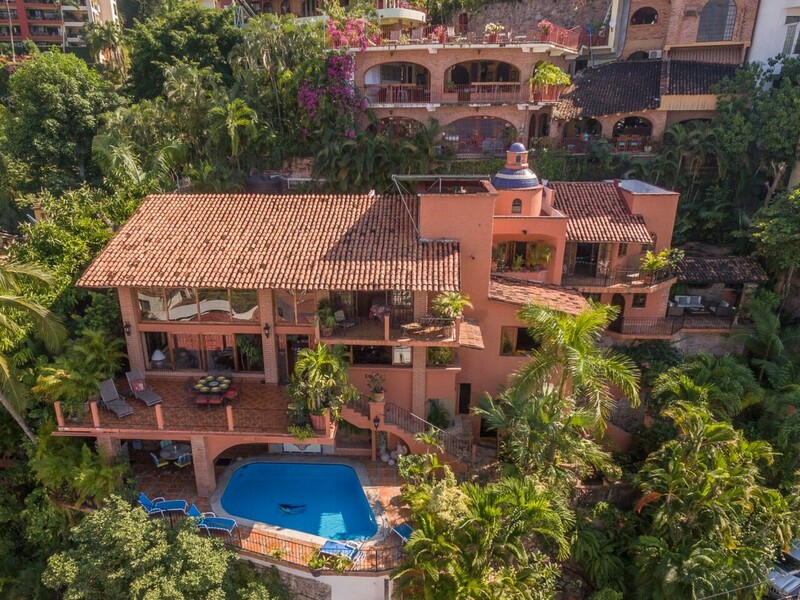 Whilst focussing on traditional Mexican styles, luxury and comfort is in abundance everywhere in and around this splendid property. 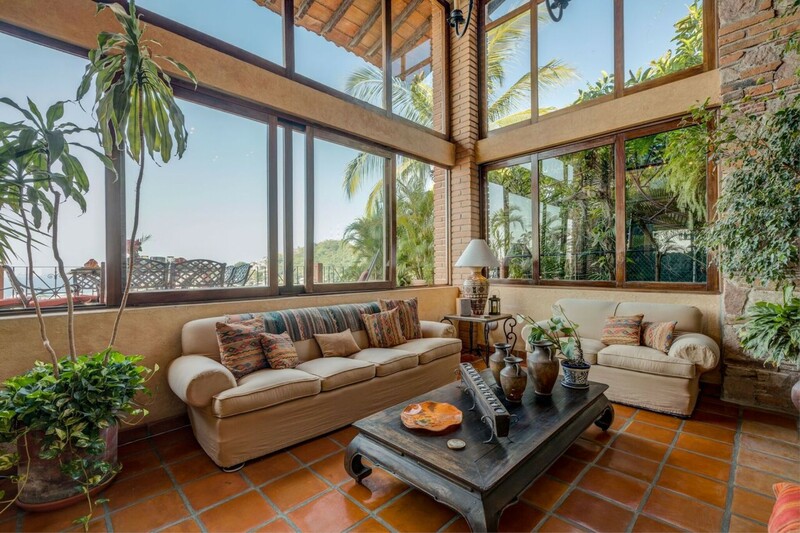 This two-storey villa features floor-to-ceiling windows providing wonderful natural light and superb views from all rooms. 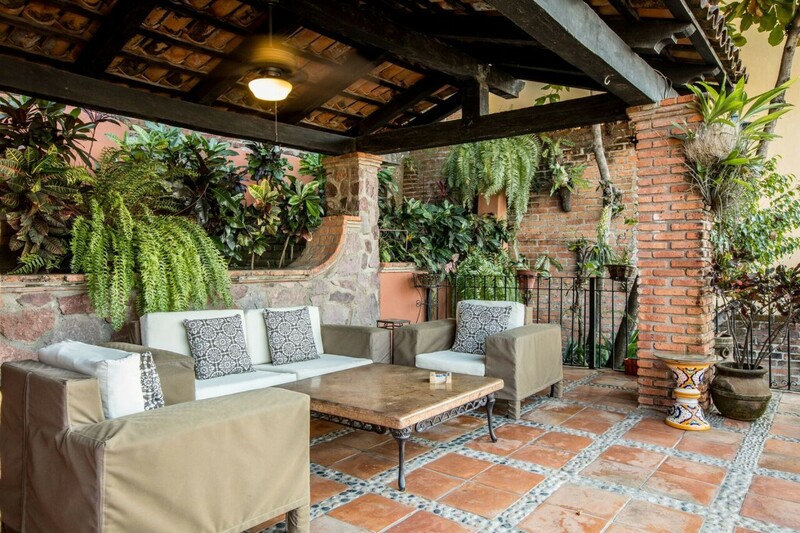 An elaborate terrace off the main living room provides the ideal spot for sunset cocktails or al fresco dining. 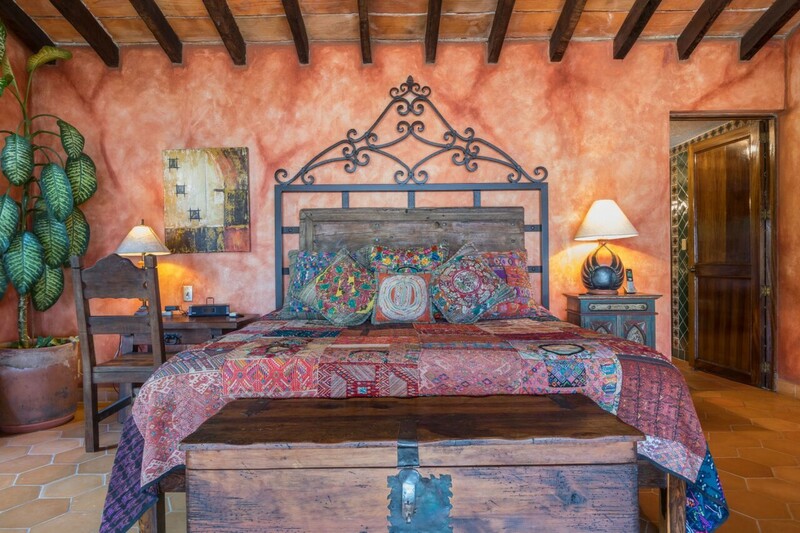 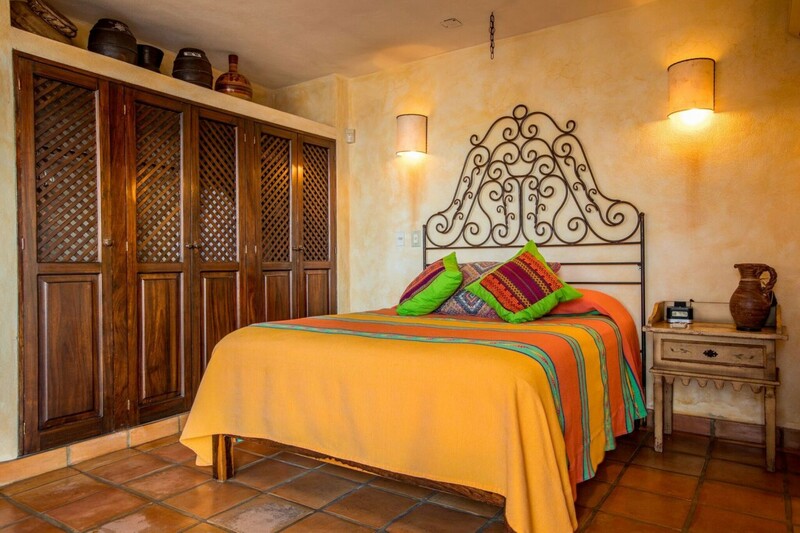 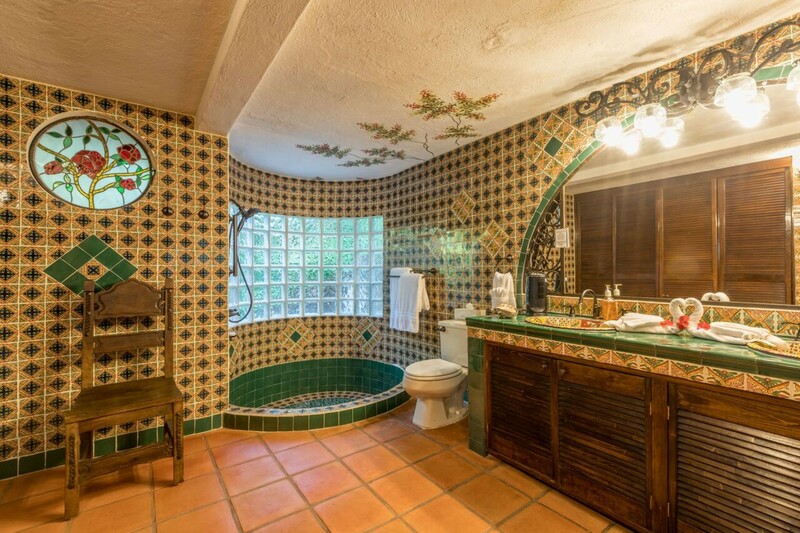 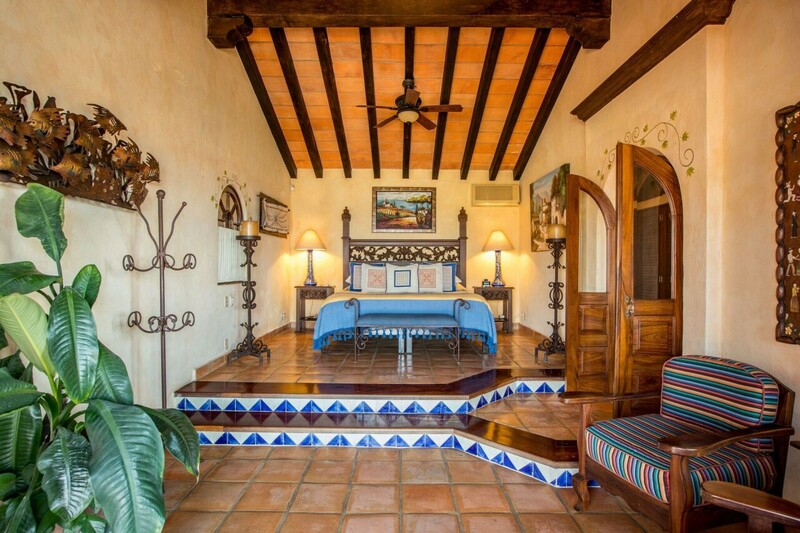 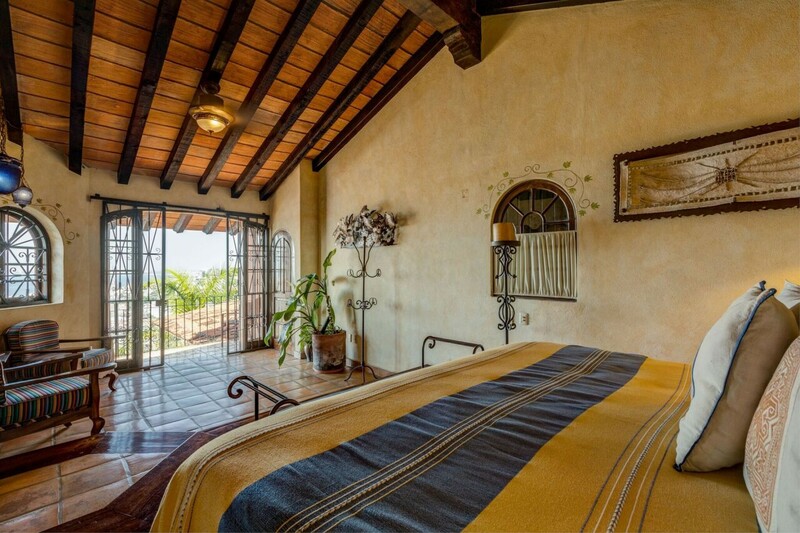 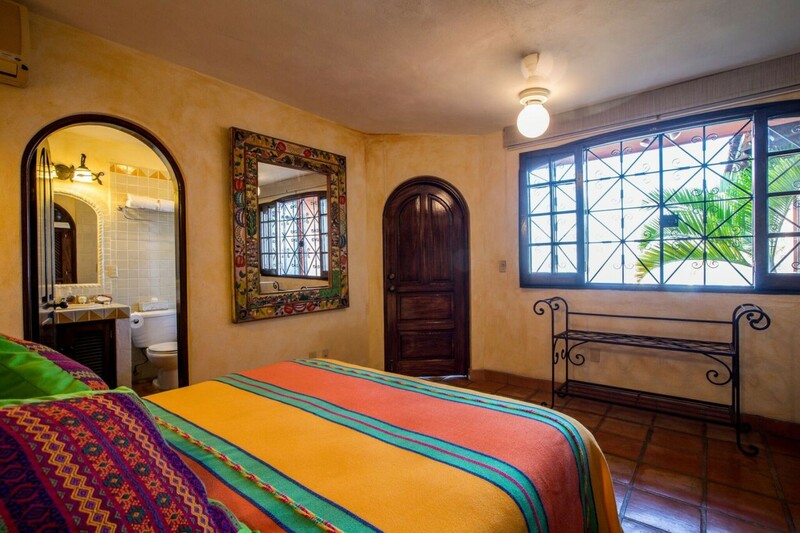 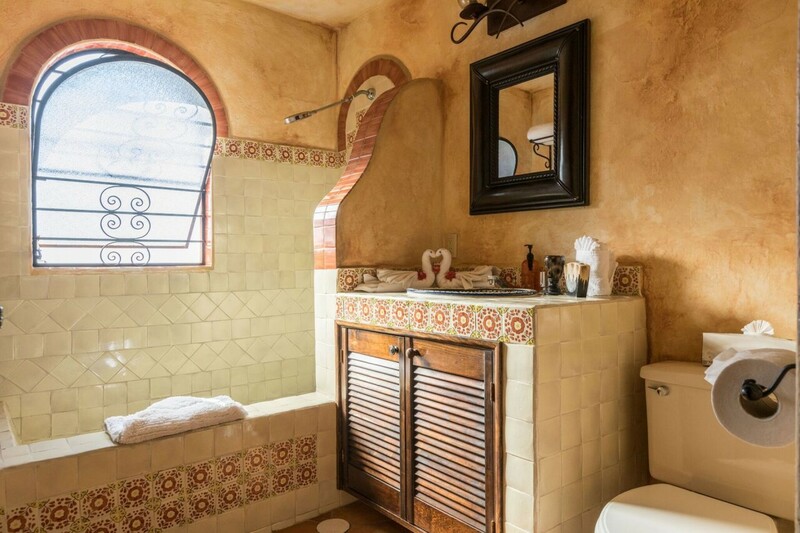 Throughout Casa Paraiso, traditional furnishings and bright colourful finishes provide artistic charm and character. 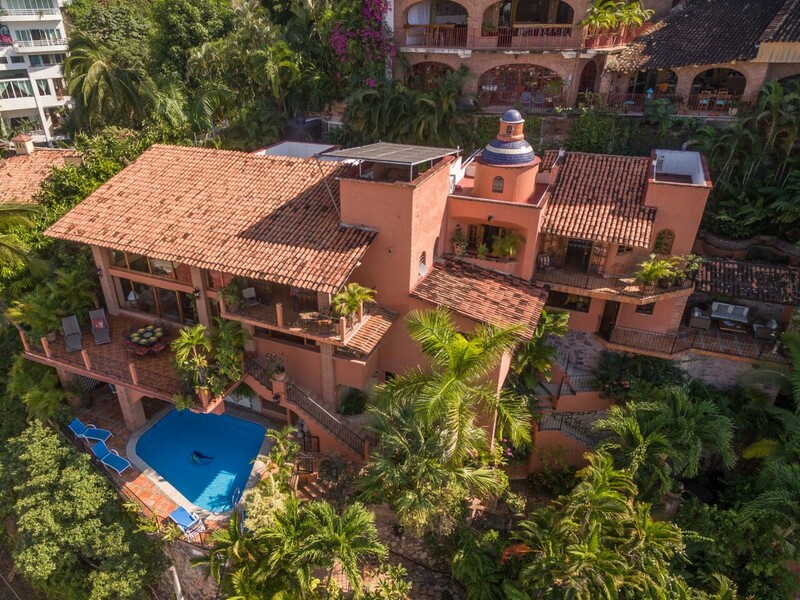 The ground floor of the villa features spacious living and dining areas where 12 guests can dine comfortably in elegant surroundings. 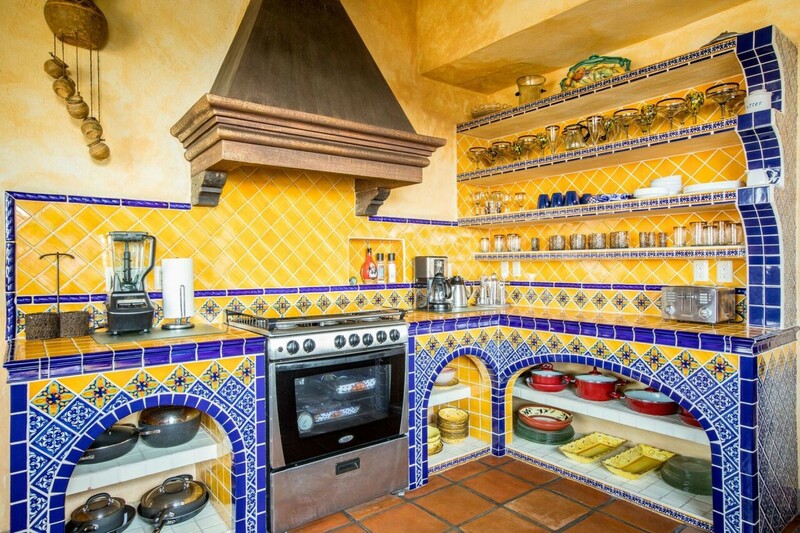 The fully equipped kitchen is perfect for preparing gourmet meals and snacks. 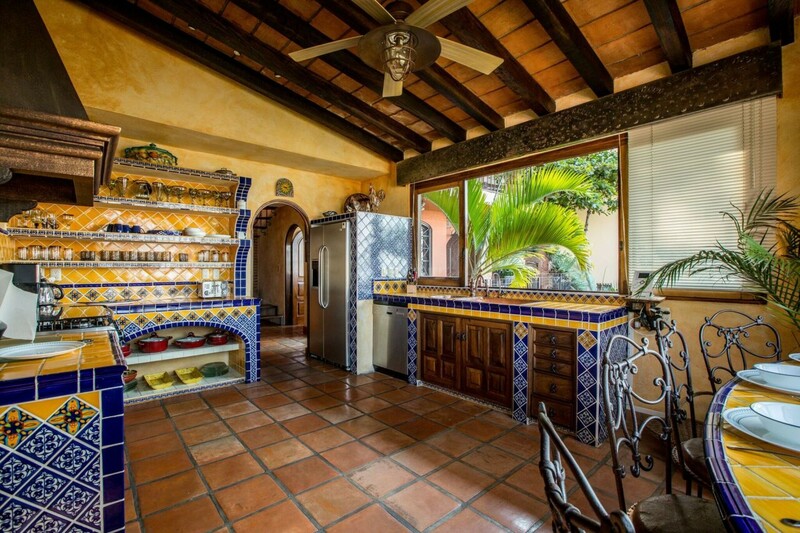 Your villa rental includes the service of a private chef for 2 meals per day (cost of food & beverages are extra). 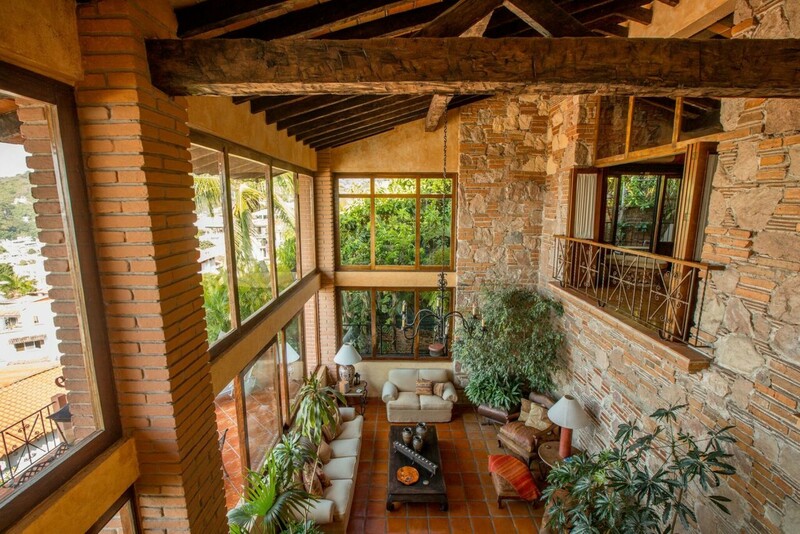 On the upper level, you will find a second living area with TV and ample quiet spaces for relaxation. 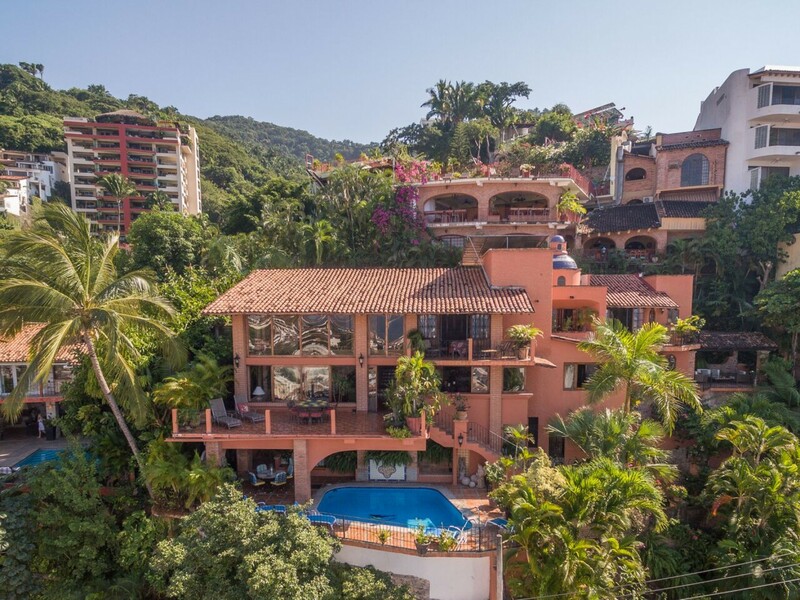 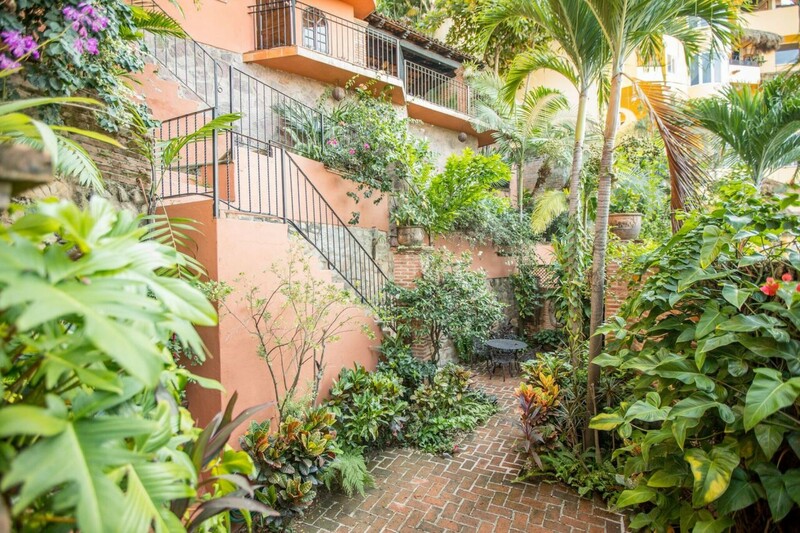 Outdoors, the property features a solar heated swimming pool, abundant spaces for privacy and beautiful tropical gardens blooming with wild orchids. 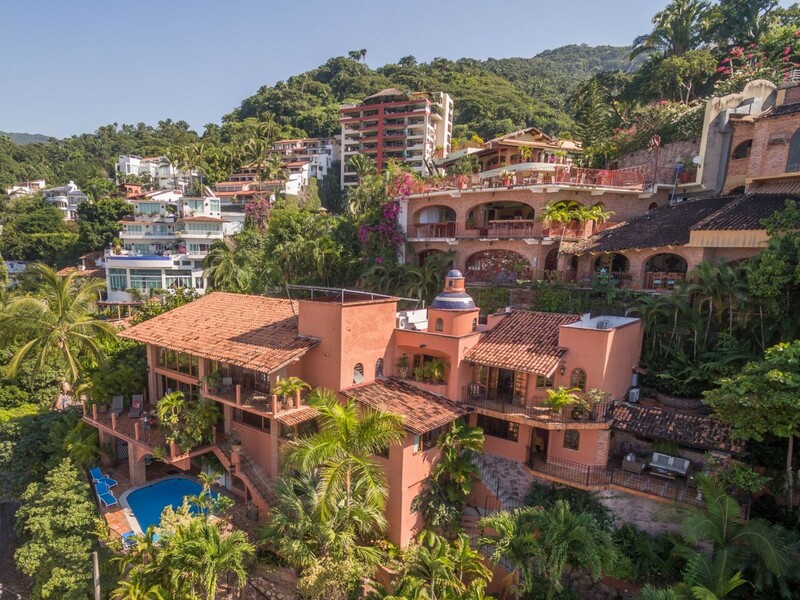 Puerto Vallarta is one of Mexico’s most enticing coastal destinations, located between the tropical Jalisco jungles and bustling Banderas Bay. 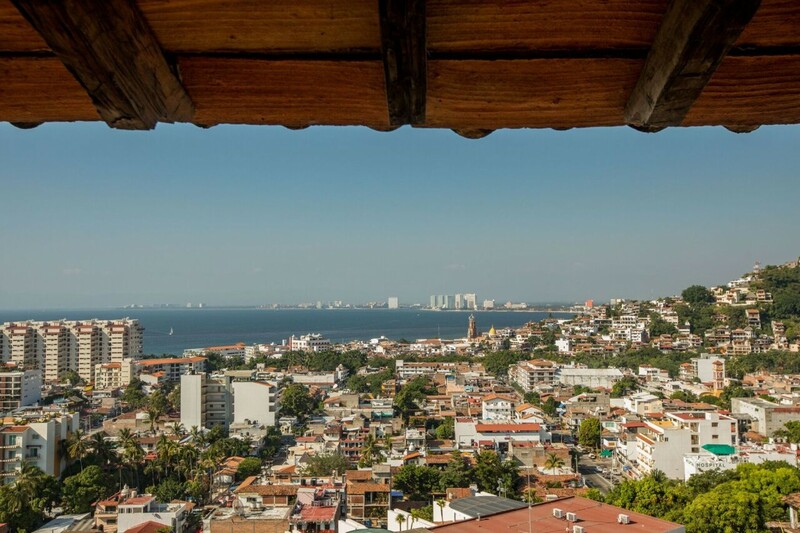 This area is famous for beaches, water sports, diving, quirky shops, art galleries, nightlife and fine restaurants. 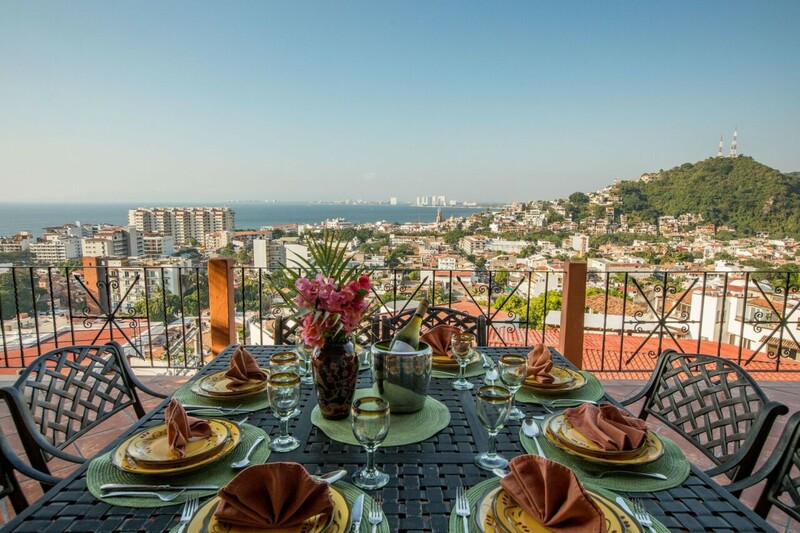 Puerto Vallarta is famed for its beaches, water sports, quirky shopping and restaurants.